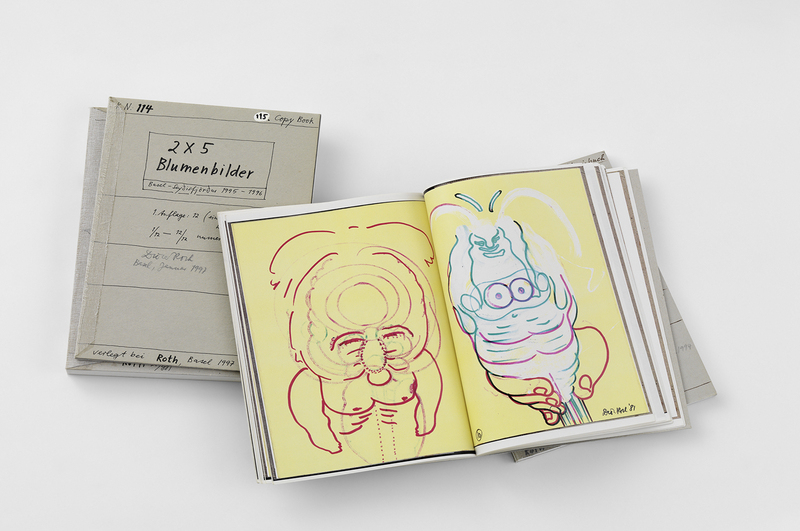 FLAT marks the twentieth anniversary of the death of Dieter Roth, a leading figure in the history of artists’ books. 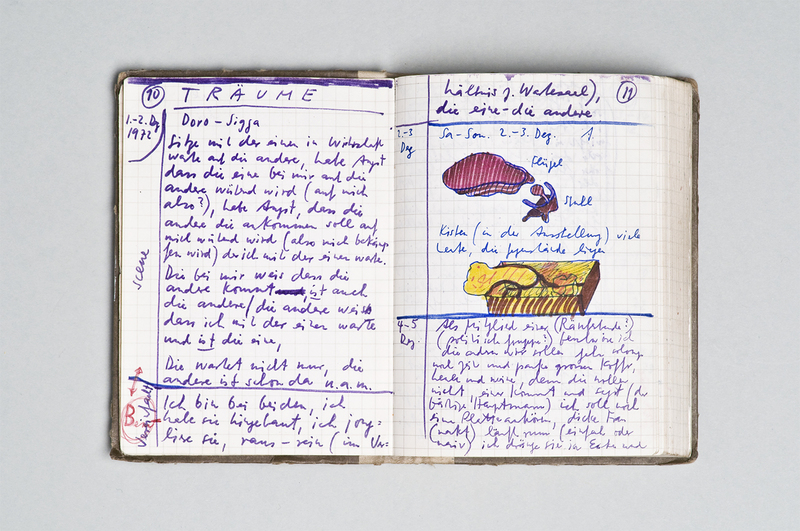 The exhibition presents over one hundred of his books and the entire corpus of his handwritten diaries, testifying to the importance of a work that continues to represent an inexhaustible source of inspiration for contemporary artists. 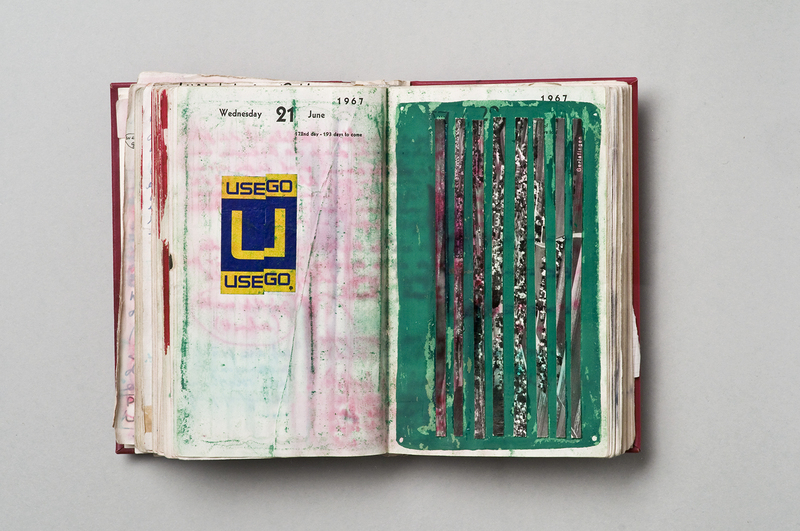 The exhibition will explore Roth’s development over a number of periods in which he refashioned books as a form of expression and as an opportunity for research, from his earliest works in the second half of the 1950s, associated with international optical art. It will then examine how he then reacted to, or more often forestalled in his disenchantment some of the more typical aspects of pop art, followed by the long period when conceptual art held sway, right up until the huge number of Copybooks produced in the 1980s and 1990s. The selection of books covers the full range of his work throughout his life, focusing on two particular themes that are of fundamental importance and in many ways interlinked: copies and autobiographies. The copy, understood as a space of inexhaustible variation, is is one of Roth’s basic compositional approaches. From an original, often handwritten text, usually made up of successive layers and added writing and drawings, Roth creates a series of successive texts, each self-contained and fully formed and at the same time providing the possible starting point of the next book, in a proliferation of ever new forms that keep the original kernel of experience and thought alive, expanding and transforming them. At the same time, though able to keep the creative process in movement, this principle is imbued with an awareness of the inevitable dispersion and decay of every human conception and action. Through his series of copies and modifications, Roth reveals the specular aspect, implicit in our inner dimension, of the principles of entropy in the cosmos: they describe the process of agnition of a self which at every step, at every development, is obliged to observe his own gradual and inexorable disintegration. Autobiography as a form is ever present in Roth’s work. He never neglects to keep a constant focus on the quotidian and all the details, even the most apparently insignificant, that make up a person’s life. And yet this uninterrupted examination of one’s experience does not lead to the creation of an identity, still less to the building of a narcissistic structure; on the contrary, it forces the artist and all of us to recognize that this is a dead end: the place where the “tear”, as he puts it, occurs – the tear that Roth, with fierce lucidity, reveals at the very heart of our being and our feeling. He renders it manifest by turning to his own self to produce not a portrait, not a representation, but a multitude of copies and modifications of each of his expressions, so that autobiographical content is lost, multiplied and distorted, like the picture of a body going through a “house of mirrors”. Roth’s self loses his self-awareness the very moment he is shown to be intent on staring at his own image. This is why copies and autobiographies are inseparable aspects of his work. 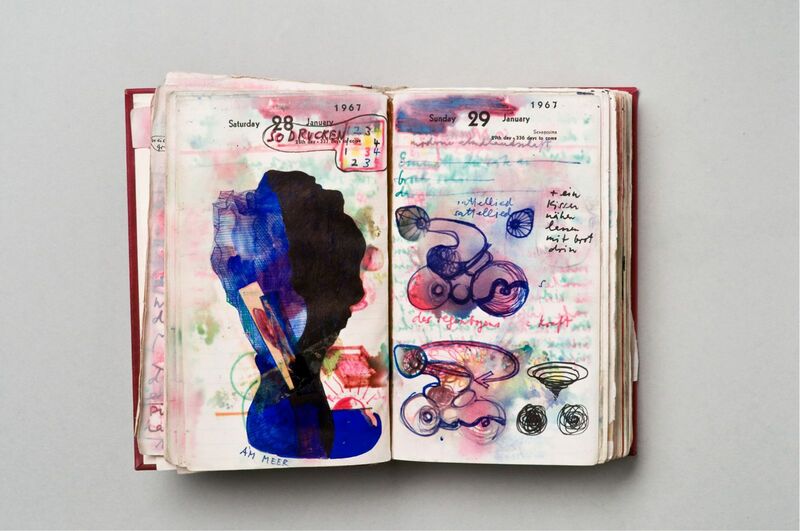 In the exhibition, the two themes will emerge from the continuous relationship between the handwritten diaries and the subsequent edited and republished versions, between the first edition of the books and their almost immediate subsequent versions, including the anthologies prepared by the artist himself. 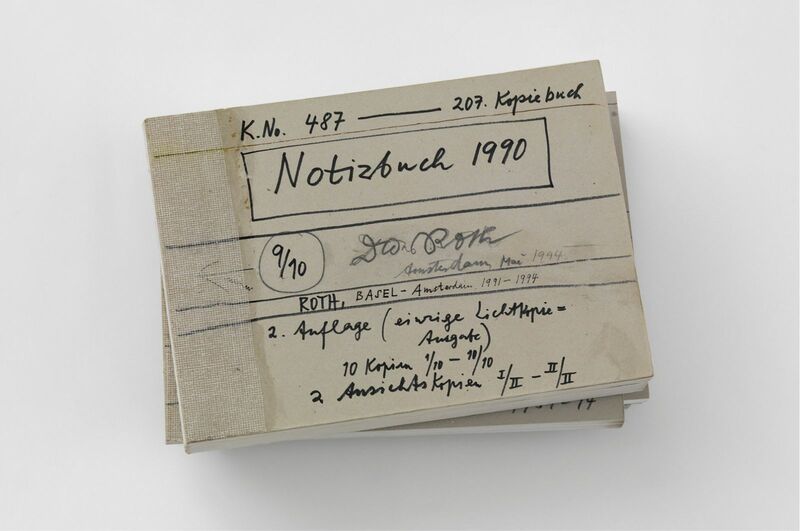 At the centre of the exhibition will be Roth’s essay Mundunculum (1961) – acquired by Fondazione per l’Arte Moderna e Contemporanea CRT for the Giorgio Maffei Foundation, which is housed in GAM – Galleria Civica d’Arte Moderna di Torino – where the artist first gave philosophical and linguistic form to the non-existence of the subject as a uniform, positive entity. This seminal text will be flanked by the pair of essays Wer war Mozart? – Who was Mozart? (1971) and Wer ist der der nicht weiss wer Mozart war? – Who’s the one who doesn’t know who Mozart was?, published the same year. In both works the identity of the others and the author’s own identity are discussed in the third person, as if belonging to someone else. And the purest expression of this identity is precisely the inability or impossibility of answering the question Wer ist? – Who is it?, unless by an empty pronoun, the subject in the sentence Ich weiss es nicht – I don’t know. 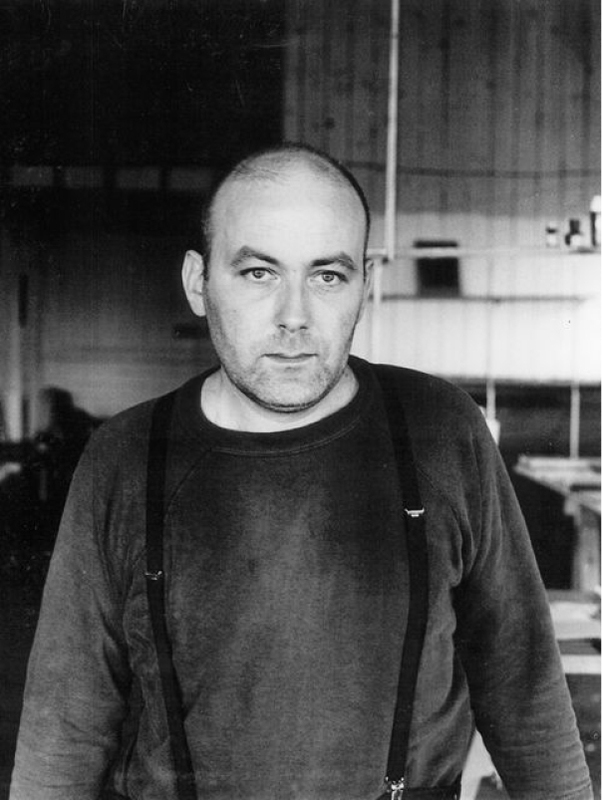 Dieter Roth. Le pagine is an exhibition where books ask questions that other books answer with fresh questions. These are questions to which we are unable to reply, just as we cannot avoid them. The exhibition has been made possible thanks to generous loans made by the Dieter Roth Foundation, Hamburg and the Dieter Roth Estate, Hauser & Wirth.